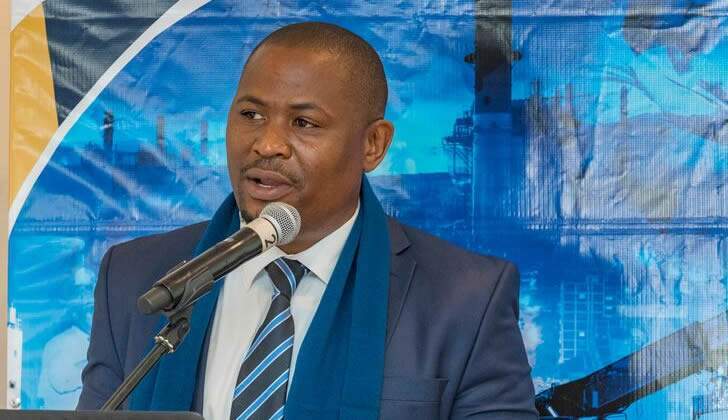 Zimbabwean businesses are failing to take advantage of export opportunities in the region, leaving South African companies to exploit them, ZimTrade acting chief executive Allan Majuru told the NMB Exporters Breakfast meeting on Friday last week. He said South African trucks were passing through Zimbabwe carrying exports to Tete Province in Mozambique, when Zimbabwean companies could more easily access that market, given their greater proximity to Tete. "Bulawayo is further than Tete," he told exporters attending the breakfast meeting hosted by NMB Bank. He said there was need to improve the ease with which businesses could export, by doing away with the multiple licences and permits that exporters currently required. He said the cost of doing business was high. Export procedures needed to be streamlined to enhance export capacity. "These are things we can change ourselves," he said. He pointed out this required a change in attitude. The revenue collected from permits was, he suggested, insignificant compared to the amount of money the country could earn through making it easier to export. He said there were massive and lucrative opportunities in Angola for exporters, because of the high prices that goods fetched in that country. There were plentiful opportunities too in Tanzania, Zambia, the Democratic Republic of the Congo, Namibia and Botswana. There were opportunities too in Dubai, where there was a large market for goat meat, he said. He said that in the 1990s Zimbabwe was the major horticultural exporter in the region. Now Kenya had become the major exporter, earning billions of dollars from this lucrative market. He said the country still had the expertise needed for horticulture. He urged farmers to identify the market for their products before producing for them, giving the example of farmers growing large water melons for a market in Europe where the preference was for small melons. In 1992, he said, the country was exporting value-added exports. In 2017 there had been no value addition in the country's top 10 exports. In 1992 the country was chiefly importing raw materials and machinery. In 2017 it was importing such things as maize, soya beans and rice, all of which could be produced locally. He told exporters that ZimTrade had partnerships with several international organisations that could provide expertise, not through addressing conferences but by their experts spending time with a local company offering advice that could improve their efficiency. Training on export packaging was available from one of these organisations. People's decision to buy a product was often determined by the packaging, he pointed out. "We have good products but the packaging is not appealing," he said.